The airport bar is called Baggage Claim, and my bartender, Manuela, isn’t even five feet tall. It was late winter when Lin Kairu, Princess Yongan of Yue, arrived at the Borders. 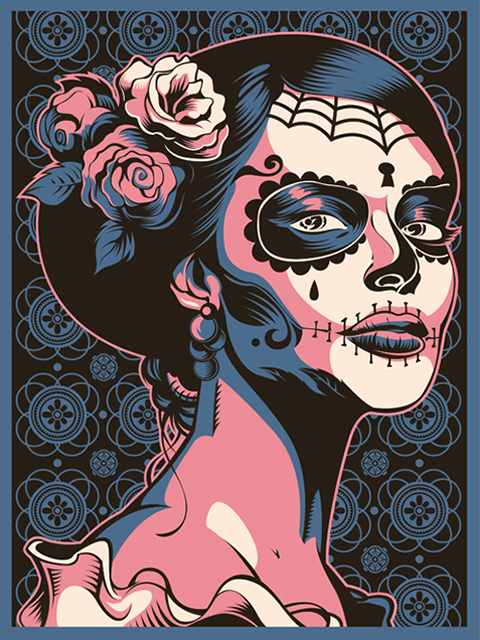 Illustration: Cesar Valtierra is a graphic designer from El Paso, TX. To escape the drudgery of life, he draws. He also hangs out with his fiancée Victoria, and their cats, Chubs and Pretty Boy. Check out his work at www.cesarvaltierra.com and www.orderfromkhaos.com. His comic can be viewed at www.tonybalazo.com.